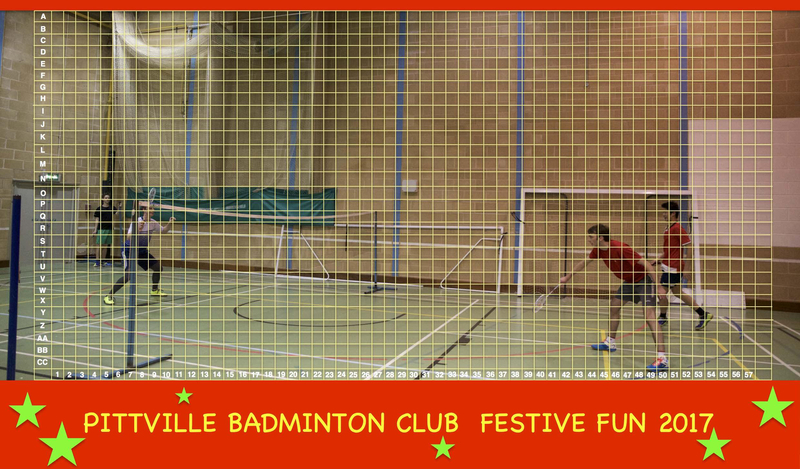 Please note that tomorrow (Wednesday 13th December) will be our final Club Night of the year. The first Club Night of 2018 will be on Wednesday 3rd January. 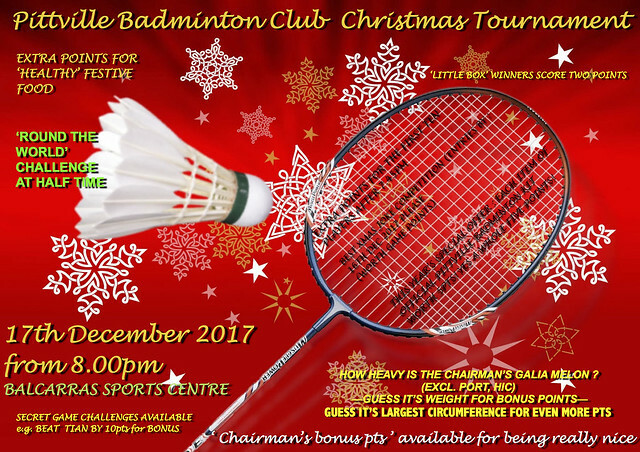 However, there's still time to play a little more badminton before the break, with our Club Christmas Tournament on Sunday at Balcarras Sports Centre from 8pm. Similar to previous years, everyone brings some nibbles to snack on whilst we play some games - players win points for every rally won. There will be a number of ways to 'top up' your score by completing some challenges set by our Chairman, Paul. You can see some of them listed above (click on the graphic for a larger version). Prizes are on offer for the players with the most points at the end! In addition to this, Paul is running a 'Spot The Shuttlecock' competition. For 50p, you can guess which square the shuttlecock is missing from in this photo. The winner receives £10! Guesses can be made at club tomorrow night, at the tournament on Sunday or by email to Paul (as long as payment is received before the end of the tournament). If you are going to be attending the tournament on Sunday then please RSVP ASAP so that we can plan appropriately. Thanks!